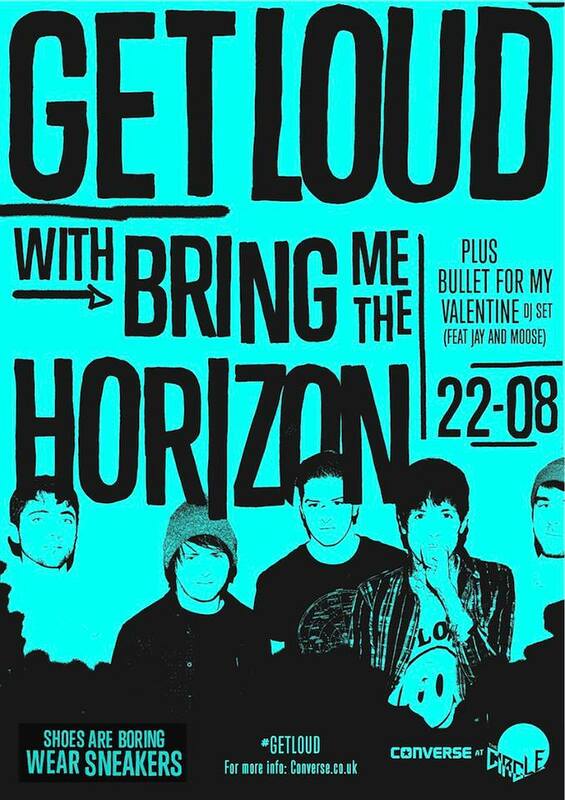 british metalcore act Bring Me The Horizon played a special intimate show in front of around 100 fans on august 22 at the circle tattoo parlor in london, england for the third and final instalment of converse's "get loud" music series. A video interview with the members of Bring Me The Horizon about the gig (courtesy of Nme Tv), as well as fan-filmed performance footage, can be seen below. Bring Me The Horizon's fourth album, "sempiternal", sold 27,000 copies in the united states in its first week of release to land at position no. 11 on the billboard 200 chart. the Cd arrived in stores on april 2 via epitaph.